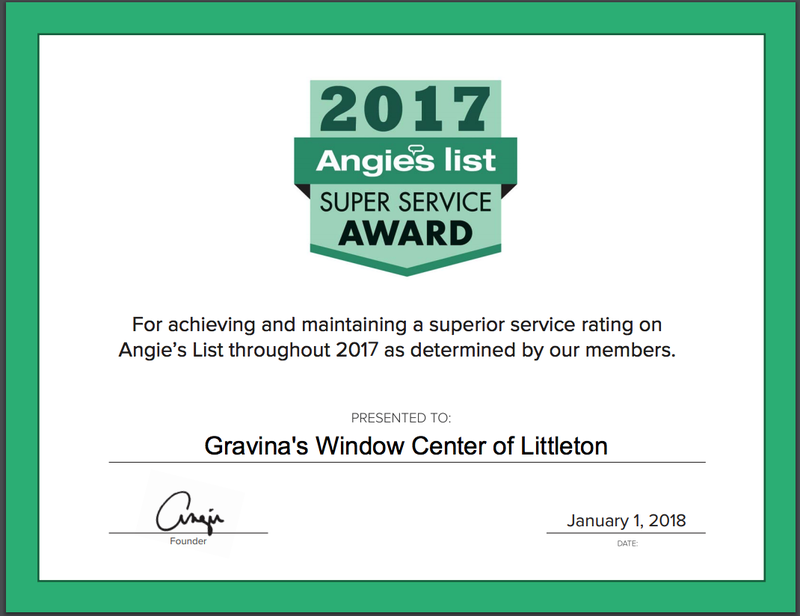 Denver, CO– Gravina’s Window Center of Littleton is proud to announce that it has earned the home service industry’s coveted Angie’s List Super Service Award (SSA). This award honors service professionals who have maintained exceptional service ratings and reviews on Angie’s List in 2017. Gravina’s Window Center of Littleton is proud to display this badge as their focus on customer service and client satisfaction is a cornerstone of their business. They are proud to have received this award for many years and look forward to continuing to meet and exceed the standard’s that Angie’s List users have come to expect.